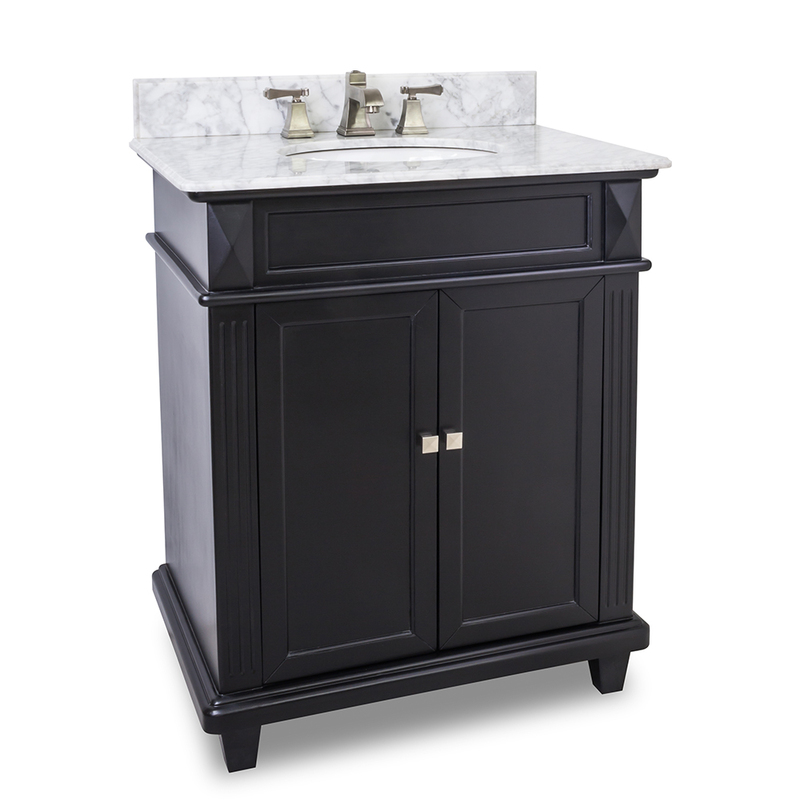 Bring out the best in your bathroom with the 30" Jupiter Single Bath Vanity. 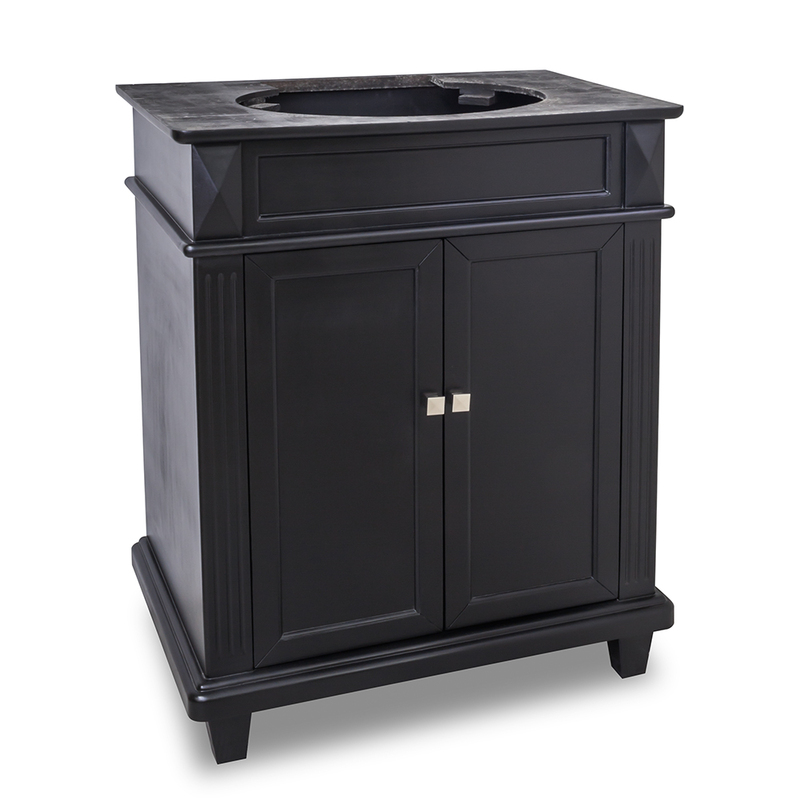 Designed with a transitional look that's great for modernizing a traditional bathroom, this vanity boasts tapered feet and clean lines with a beautifully sleek Black finish. A double-door cabinet offers plenty of storage space in the otherwise petite vanity, while the beautiful Carrera White Marble top offers counter space. 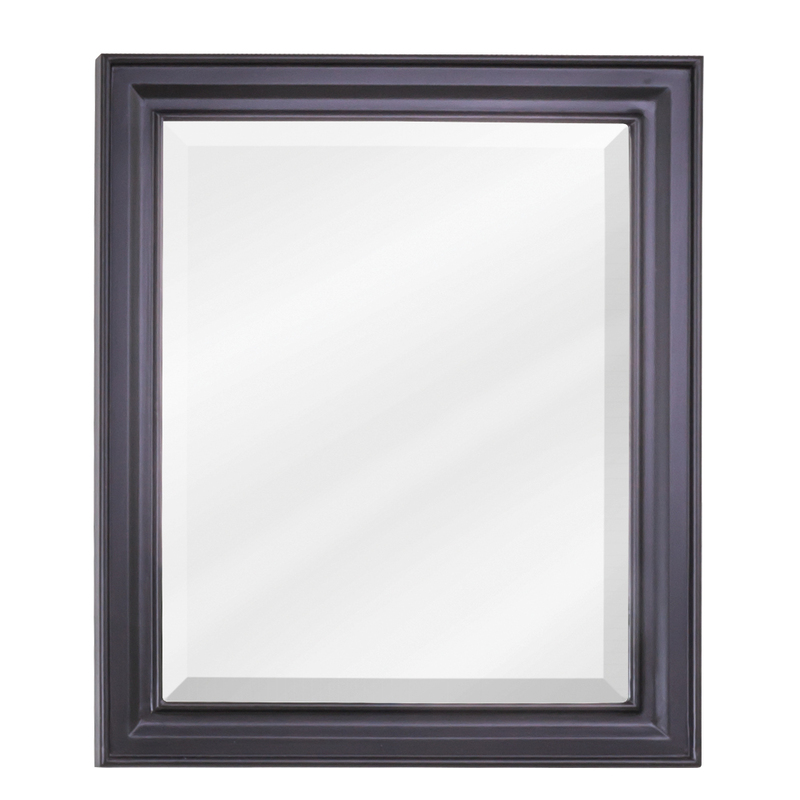 Add its matching mirror to give your bathroom a look that will dazzle.